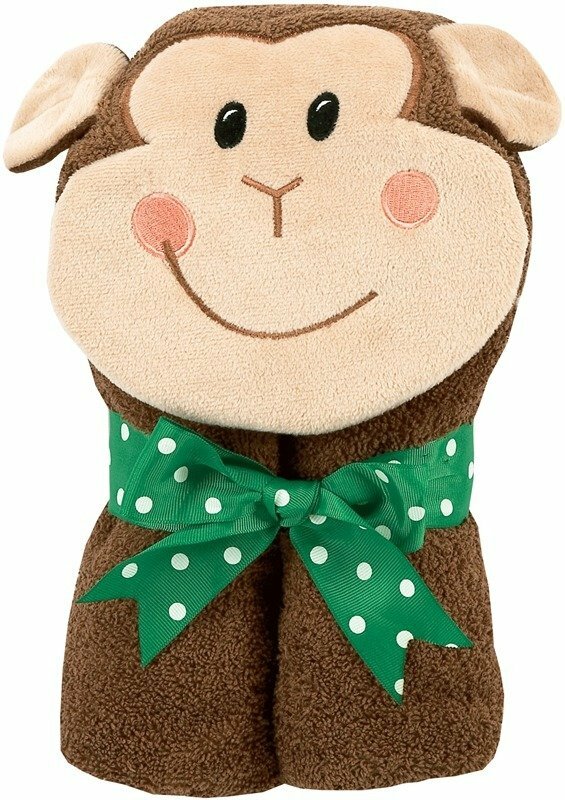 The AM PM Kids Monkey Hooded Towels for kids. These warm and cuddly hooded bath towels make a great gift for babies and toddlers. The hooded towels are brown in color and come tied with a contrasting ribbon for a great looking baby gift. These hooded towels are sure to bring fun for the bath, beach, or pool side and the hood will keep baby nice and warm or toddlers can play dress up in their favorite Tubbie hooded towels! 50 inches wide and 27 inches high (plus hood). Hood designs are made of an ultra soft polyester velour.